Hindsight can be a nightmare, especially for those in the business world who regularly find themselves in positions where they only have one opportunity to get it right. A perfect example to illustrate this would be the classic British trade show, which has the potential to be one of the most spectacularly beneficial types of events any business could ever hope to attend. Unsurprisingly, not every business that turns up to a trade show meets with success. Quite to the contrary in fact as while there will always be those who attract the lion’s share of interest and reap the spoils, others will walk away quite empty handed. According to the experts at www.ral-display.co.uk, the key to avoiding falling into this latter category is to never approach a trade show without an extremely comprehensive plan of attack or before studying up on the experiences of others. This is especially true for first timers who in the majority of instances will find themselves learning from their mistakes, despite the fact that it makes much more sense to learn from the mistakes of others. 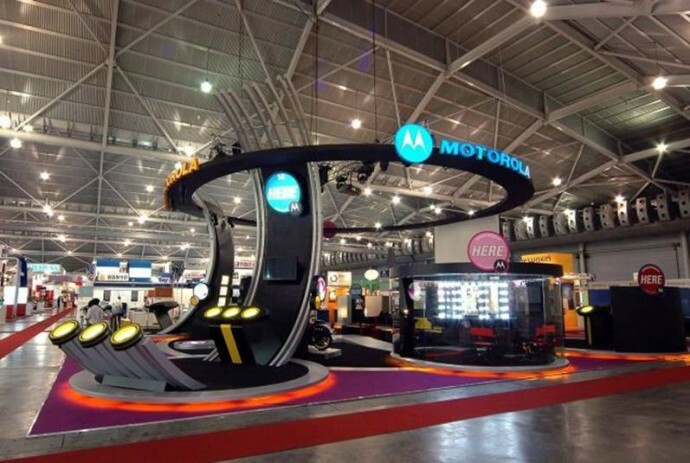 First up, while it’s fair to say that location isn’t everything when it comes to trade shows, the placement of your trade show booth will indeed be a huge factor in determining your success. It’s common for newcomers to overlook the importance of location or to perhaps understand its importance but completely misjudge things in terms of selecting their own plot. When evaluating what makes for a great location, the only thing that matters is foot traffic as while one area of the hall may be more attractive than another, what’s of most interest to you is ensuring that your booth simply cannot go unnoticed. Suffice to say, getting the best plot in the hall is something everyone wants to do, so it’s of paramount importance to begin preparations and book early. There’s one sure-fire way of ensuring that your trade show appearance is nowhere near as successful as it could be, which is to remain glued to your desk at all times. This is another common mistake made by newcomers as it is somewhat subconsciously assumed that never leaving the desk is the norm and so is a norm that should be followed. In reality however this is quite the opposite of the way things work as it will always be those who are willing to step away from the desk and proactively head to the crowd to find valuable prospects that will come away with the biggest successes. There’s a time and a place to avoid pouncing on people, but there’s also a time and a place to pull your finger out and get into the mix. A quick point but an important point nonetheless, the only thing you have to show off your brand – other than your own a winning personality of course – is your contingency of banners and display hardware. Suffice to say therefore, if the posters you come up with and the hardware you put on display does not speak volumes for you as a fantastic beacon of professionalism, you are going to encounter extreme difficulties in winning over any potential prospects. There’s nothing quite as annoying as seeing one of your rival brands scooping up a 99% of the interest and leaving little left over, for no reason other than the fact that they are giving something away for free. This is a perfect example of an instance where you cannot beat them or stop them from doing what they are doing, so the best bet is to join them. If you can bring along something which is genuinely relevant and will have some level of desirability in the eyes of the show’s attendees, never overlook the power of a good freebie. Last but not least, one of the most devastating and potentially fatal mistakes of all is one that occurs long before the exhibition hall’s doors open. Quite simply, if you do not put in the necessary work to market and promote the fact that you will be appearing at the trade show, how on earth can you expect anybody to know you are there? Sure, you’ll pick up some passing interest of those just coming across you for the first time, but to ignore the importance of marketing is to run the risk of those with an existing interest in you never having realised you were going to be there. Why Are Display Stands Essential For Advertising?